In my Danish language and culture class, we were divided into groups and assigned a neighborhood in Copenhagen to visit with the goal of creating a presentation for the class about the neighborhood’s particular culture and history. 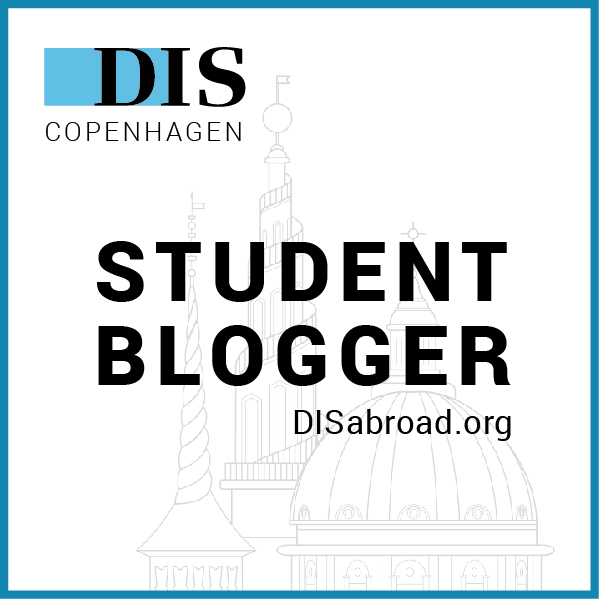 My group was assigned Nørrebro, an area northwest of the city center known as Copenhagen’s multicultural neighborhood. Nørrebro has gotten a bad rap recently for some instances of gang violence; however, I have never felt unsafe wandering around the area, particularly when traveling in a group. In fact, Nørrebro has been one of my favorite Copenhagen neighborhoods to explore (and to eat)! The neighborhood boasts a trendy shopping street, Jægersborggade (try saying that five times fast). Lined with coffee bars, vegan restaurants, and quirky shops, Jægersborggade attracts a young hipster crowd. My personal favorite find on Jægersborggade is a restuarant called Grød, Copenhagen’s first porridge bar. Their menu has everything from chia seed pudding and caramel oat porridge to daal and risotto. A friend described it as “anything warm, mushy, and delicious.” I don’t think the porridge trend has caught on yet back in Nashville, but I’m sure it will! My other favorite food trend in Nørrebro is the falafel. Almost every street in Nørrebro features a shawarma restaurant, and, though they might not look like much from the outside, I have had the most AMAZING falafel on the streets of Nørrebro. Best of all, some of these shawarma restaurants stay open through the night. After enjoying some of the nightlife in Nørrebro a few weekends back, I stumbled upon the Konyali Cafe and had falafel sandwiches with a group of friends at 3am (quite possibly the best falafel I’ve ever tasted). Nørrebro also contains the famous Assistens Cemetary, the burial place of famous Copenhageners Søren Kierkegaard and Hans Christian Andersen. Oddly enough, the cemetary is a beautiful place to go on a leisurely walk. As I’ve established a comfortable daily routine in Copenhagen, I’ve noticed that I’ve also become a bit stuck in a rut–only traveling from my homestay in Sydhavnen to Indre By (the area where DIS is located) and back again. However, this field study in Nørrebro has reminded me that I need to keep exploring the city, as each unique neighborhood has so much to offer! This week in my Danish Language and Culture class, we were assigned a reading entitled “Wonderful, wonderful Copenhagen” from the book How to Be Danish by Patrick Kingsley. Within the chapter, Kingsley discusses the structure and recent history of the city. In particular, the chapter focuses on the famous Danish architect Jan Gehl Hon and his influence on the Copenhagen’s urban design. Throughout his life, Jan Gehl Hon has strived to reorient the city of Copenhagen to be an optimal space for both the pedestrian and the cyclist. As a result of incremental efforts over the years, Copenhagen has thus become one of the most livable cities in the world (in fact, it ranked in the top 10 according to this recent evaluation). Kingsley’s chapter, in celebration of the city, has been reflective of my amazing week here in Copenhagen. After being here for almost three weeks (!! ), I have become more comfortable navigating the city, and it is beginning to feel like my happy home. This week has also been full of exploration in and around Copenhagen! Hoping to take advantage of the beautiful sunny weather, I’ve spent all my free time this week checking items off my tourist to-do list. On Saturday, I went with a group of friends to cruise the canals of Copenhagen on a go-boat. We packed our own picnic and spent two wonderful hours taking in the sights of the city from the water. On Wednesday, I had some free time before my field study, so I visited the Church of our Savior, famous for its winding spiral staircase up to a gorgeous bird’s-eye-view of the city. After trudging up the 400 stairs, I was exhausted, but it was worth the climb. After visiting the church, I took a brief visit to the iconic sidewalk trampolines in Copenhagen. I’m not sure why they exist–perhaps it has something to do with Jan Gehl Hon’s principle that cities should have open spaces for play. On Thursday, the last day of predicted warm(ish) and sunny weather, I decided to go swimming in the harbor with a group of friends. It was one of those things I wanted to say I had done in Copenhagen, though it was a little cold for a swim. At the last minute, I almost changed my mind, but I’m happy to say I took the (very chilly) plunge at least once. After getting back into warm clothes, we wrapped up the night by visiting Reffen, an outdoor food market north of the city. My host mom goes to zumba classes on Thursday nights, so I took the opportunity to eat out and enjoy the “foodie” side of Copenhagen. From what I’ve seen so far, Copenhagen is truly is a wonderful, wonderful city.